While enjoying some great big family time (and tasty turkey!) 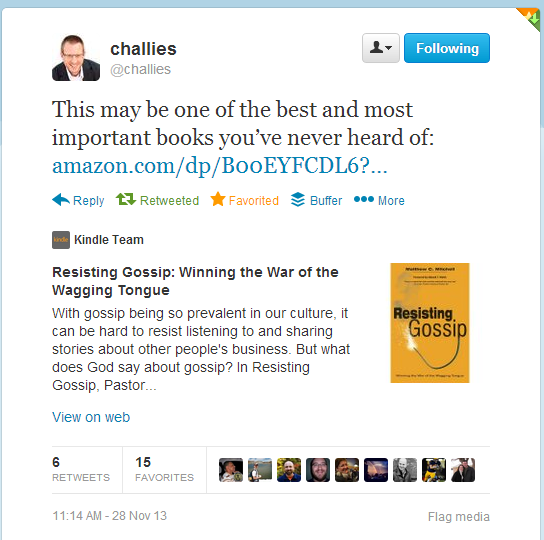 yesterday, I saw this super-encouraging tweet from popular blogger and prolific book reviewer Tim Challies--"This may be one of the best and most important books you've never heard of:" with a link to the Kindle version of Resisting Gossip. When I went to that page, I saw that he had posted his super-encouraging review there, as well. Update: I just saw that Challies has also included Resisting Gossip in his list of notable books at WORLD Magazine today online and in the December 14th print issue. Thanks, Tim, for your strong encouragement and for helping others to know about the book! I feel blessed. "Subscribe to The Resisting Gossip Update email newsletter." There is a group of about 100 people who clicked on that link and have been receiving it in their in-boxes this Fall. I use the newsletter to chronicle the highlights of what's been happening with the book as its message begins to spread. The latest edition is out, and it's all about how thankful I am for all that God has done this year with Resisting Gossip (and a picture of me with a bow-tie and a bound copy of my doctoral project!). On this Thanksgiving, I hope you are experiencing the blessings of the Lord Jesus Christ. He is a good Shepherd and a wonderful Savior and Lord. 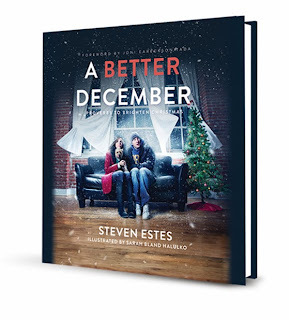 The Biblical Counseling Coalition has posted my review of A Better December by Steven Estes. Great little book--and just in time for the holidays! For me, it was the stillbirth of our first child, Charis Mitchell. It happened back in 1999, and I remember so much of it vividly and painfully. The worst thing that ever happened to the prophet Jeremiah was the exile of Judah and the destruction of his beloved city of Jerusalem. And Jeremiah wrote about his suffering in a little book tucked away between the major prophets called Lamentations. I’m going to read from chapter 3 of Lamentations to you this evening. I’m going to read the most famous verses in the book of Lamentations. We sing the words of these few verses all the time. They are very familiar. We always sing them this time of year, near this holiday. But they’re tucked into the very middle of the one of the saddest books in the whole Bible. I mean, the name of the book is “Lament.” Which basically means to be sad. “Sad-Thoughts” is the name of the book. Lamentations. And that’s great! We need books like Lamentations. So, we need books like Lamentations. Today, we’ll see just a few, perhaps the brightest of the verses. The whole book calls for careful study. It’s right here in verse 23. That’s where we get our song. Lamentations 3:23. We’re going to sing “Great Is Thy Faithfulness” in just a minute. Jeremiah tells God that His faithfulness is great at a time when he doesn’t really feel great. The threats are over...and so is Jerusalem. I love the realism of the Bible. The Bible is not sugar-coated. It is not fake in the slightest. It’s Thanksgiving season, but you’re hurting. Yesterdays mercies are yesterday. And God has promised new mercies every morning. So we have to go looking for them. Hunting for them. Not just one day a year in late November. So what difference does it make that God is faithful? What should we do? Three points of application to take with us into this week of Thanksgiving. Did you catch how Jeremiah is preaching to his own heart, to his own soul? He reminds himself that God has great steadfast love and great faithfulness and that it is worth it to endure the suffering (which will last for a moment) because joy will last forever. Hope in him. All too often we listen to our feelings, and we don’t talk back to them. Not just once a year at the end of November, but ever day. But we need songs like this. We need lament-songs. Because life hurts! He felt lamentation in the Garden of Gethsemane and on the Cross of Calvary. What’s the worst thing has ever happened to you? When our daughter died, I had just been reading Romans 8:32 which became the foundation for our grieving in hope and mourning with faith. Heather and I decided to believe that. That God, even in our darkest day so far, was committed graciously giving us all things. So we learned to say during that dark time and every day since. Remember these humorous and savvy ladies? When I first saw this picture back in September, I had to find out who they were and why they posed for this photo. And then in October, I got to meet them in person at the CLC Bookstore in Moorestown, NJ. It turns out that CLC Stores hold a contest every time a new book comes out of CLC Publications. The contest is for the best book display, and the Moorestown store was determined to win the one for Resisting Gossip so they recruited these 3 ladies to pose for the picture. And then I got to meet them in person. I tried to engage them in gossip that day, but they weren't biting. Thanks, CLC Moorestown, for hosting me and introducing me to these three fun ladies! [Matt's Messages] "The Lord Looks at the Heart"
This chapter is the hinge chapter that the entire book turns on. For 15 chapters, the main characters have had names that begin with the letter “S.” Samuel and Saul. And Samuel has done well (by and large), but Saul has been a big disappointment. In fact, last week, we saw the kingdom of Israel actually being torn away from Saul because of his half-hearted disobedience. Even though he retains the name of king and continues to be recognized as king by the people, in God’s eyes, Saul is no longer the legitimate head of Israel. God has another plan for another king. And in this chapter, we meet him. We meet another main character who is going to carry on through this book and the next. I won’t say his name yet, but I’ll bet you know it. Today, I want to do this sermon a little differently. My plan is to read the whole chapter, and as we read it–like we often do–I’ll provide some running commentary on the story–showing you what is there. And then after we’ve read the whole chapter, we’ll come back to verse 7 which is the hinge verse of this hinge chapter. Everything swings on it. Our series is called “A Heart for the Heart of God,” and Saul just didn’t have it. Is there someone who will? Let’s back up to verse 35 of chapter 15 to get the context. Chapter 16, verse 1. A new day begins. A new day is dawning. There is still hope for Israel. Saul has been rejected, but the LORD has another plan. Samuel is to get up and get going. God has another mission for him. He is being sent to the little town of Bethlehem to see a man about one of his sons. Jesse is from the tribe of Judah, a tribe that many things have been prophesied about. And now, the Lord has said that one of Jesse’s son has been picked to be the next king. Samuel is concerned that Saul may have spies. Saul may have eyes on Samuel to see what he might be doing in the way of kingmaking. That’s really important, and we’re going to come back to it at the end and apply it to our lives. The LORD has not chosen Eliab to be the next king. He may look good on the outside, but on the inside? Not so much. That’s full number of sons. Ok. Nobody eats until we see the youngest! Jesse seems almost embarrassed to mention his youngest. He’s probably the shortest. He’s probably the “runt of the litter.” He’s still, in many ways, a boy. You always give the worst job to the littlest guy. He’s out with the smelly sheep! So, his name is David. He’s the youngest (God seems to have a thing for picking younger sons for big jobs. ), he’s not the tallest. He’s not perfect (as we will see time and time again), but apparently, this young man named David has a heart for the heart of God. Anointed not just by oil but by the Spirit Himself. Empowered for a great ministry. And He will need that Spirit-anointing. Because, from now on, he’s going to encounter trouble after trouble! Just because you’re anointed doesn’t mean that you are saved from trouble. In fact, it’s just the opposite. The most anointed find themselves in the most trouble. The Hebrew for “anointed” in verse 13? “Mashach” Messiah. David is the Messiah, the anointed one. Now, it doesn’t say much more than that. You know, I never noticed it until this week, but it doesn’t say that Samuel said anything when he anointed David. He might not have said for what ministry David is anointed. I’ve always assumed that David knew that he was being anointed to be the next king, and that’s possible. But this week, it seemed to me that it might have been more of a mystery at this point what the ministry David would have would be. Perhaps it was unclear to Jesse’s family and even to David at this point and began to unfold as God’s plan became more clear. What is clear is that the Spirit was now with David. And there is going to be a great crisscross in the fortunes of the old king and the new. Wow, what a contrast with verse 13! And more than that, “an evil spirit” or a “miserable spirit,” a “ruinous spirit” from the LORD tormented Saul. This is a judgment upon Saul for his disobedience. Saul is tormented as a consequence for his failure to love the LORD with all of his heart, soul, mind, and strength. I don’t think the spirit was as much a “morally evil” spirit as a “calamitous evil” spirit, that is, that it doesn’t tempted Saul, it troubles him. Saul gets depressed. He gets pulled down. The spirit yanks him into a funk. Then Saul sent messengers to Jesse and said, ‘Send me your son David, who is with the sheep.’ So Jesse took a donkey loaded with bread, a skin of wine and a young goat [probably provisions for David] and sent them with his son David to Saul. The old king on his way out takes the newly anointed king into his own service! And David is loyal to Saul! David joins his service and serves Saul, and serves him well. Someday, this old king will try to kill the new one. But at this point in the story, he’s very pleased with him. You know it’s possible that David thought at this point that Samuel had anointed him for this music ministry. I read a commentator this week who pointed that out as a possibility (Bill Arnold, pg. 245). What a great thought that is! And we’re going see that again and again and again as the story goes from here on out. But let’s return now to verse 7 which is the hinge verse of this hinge chapter. The LORD selects the new king based on something that Samuel couldn’t see. Look at verse 7 again. He see the thoughts, the attitudes, the desires, the motives. He sees what a person really believes, really worships, really loves. On Wednesday nights, our youth boys class memorizes a proverb every week. And we decided that that meant that great and terrible things like Death and Destruction (Sheol and Abbadon), great and terrible things that we could never understand are an open book to the Lord. And if that’s true, how much more does God understand what is in our hearts?! I want us to think briefly about how that truth applies to us in three different ways. I think that we need to keep verse 7 in mind as we relate to other people. Part of what that means to us today is to not forget what is truly important when we are choosing our friends, or our spouse, or our leaders. We tend to look at the outward. We look at big or beautiful someone is. Take finding a spouse, for example. Many guys are looking for a looker. And many ladies are doing the same. Now, there is nothing wrong with beauty. I happen to have found the most beautiful woman on the planet and tricked her into marrying me. Young men...pay attention to that. Young ladies...pay close attention to who they are, not just how they look! For another example, take picking a leader, like God does here. We tend to look at someone’s strengths, their gifts, their popularity, their status. What are they good at? Are they tall? How popular are they? How much are they worth? Do they already have a good position? Do they have clout? Now, those are not bad things in and of themselves. But they are just outward. What is their heart like? What do they think, what do they want, what do they worship, what do they love? Of course, we can’t see into a person’s heart. That’s part of what this verse is saying. But I think it’s also saying that the LORD looks at what is really important, and we need to realize that and look for the best clues as to what is going on in others. As we pick friends, and lovers, and leaders. You can tell a lot about what is in someone’s heart by their words. Because out of the overflow of the heart, the mouth speaks. You hear a lot of dirty things come out of their mouths, you can be sure they have a lot of dirt in their heart. But our words can also be deceiving, so it’s important to also watch what others do. Because our actions reveal what’s in our hearts, as well. If you see someone who has mismatch between their mouth and their hands, or their feet, or their loins, then you know something wrong is going on in their heart. No matter how attractive they are outside, it’s what’s inside that counts. And the key question about the heart is do they have a heart for the heart of God? All King Saul had was a heart for the heart of Saul. And that takes us to the second area of application. 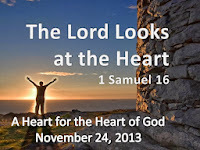 When He looks at our hearts, what does He see? Because we cannot fool Him. We might be able to fool others. “Man looks at the outward appearance...” and you and I can put on a pretty good show! He sees the real me. He knows my very thoughts. He knows what I really want. He knows what I worship, what moves me, what I truly love. When God looks inside of you, what does He see? God is hunting for people with a heart for His heart. Are you chasing after the world or chasing after Him? I know that He see some sin. We are all sinners. We are not perfect. None of us are perfect. Far from it, in fact. David was far from perfect, as we will see again and again. But there was something else inside of David as well, apparently. And I think that the Psalms show us what it is. Those songs that David wrote? David also had a love for the LORD. “The LORD is my shepherd, I shall not want.” Psalm 23. This poor man called, and the LORD heard him; he saved him out of all his troubles” (Vv.1-6). Does the Lord see that in your heart, as well? If not, then repent. Turn away from a heart that does not bless the Lord and ask Him for a heart that does. Because you will not fool him. To steal and change Abraham Lincoln’s quote, “You can fool all the people some of the time, and some of the people all the time...” but you cannot fool the Lord. 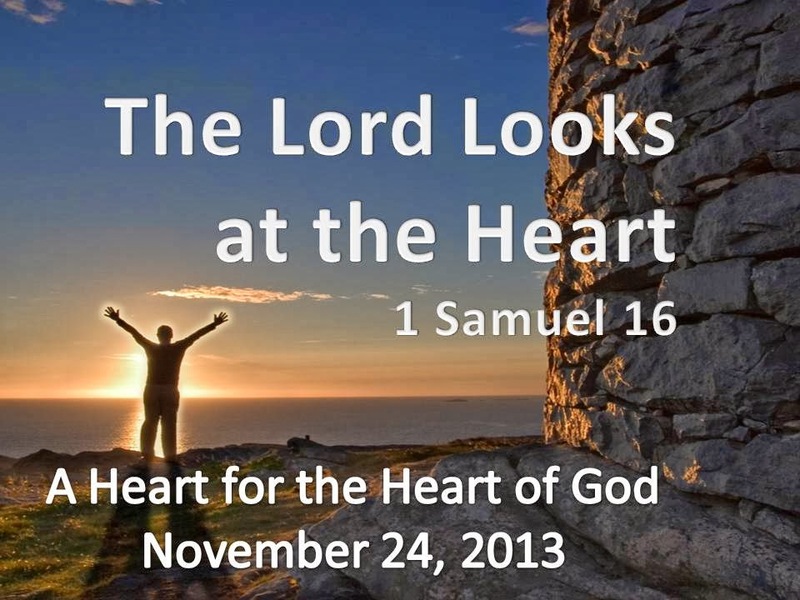 The Lord looks on the heart. Which leads us to the third and last area of application of verse 7. With our Messiah, our anointed one. There was never a greater proof of this verse than when men judged Jesus. Many, many people looked at our Savior and decided that He wasn’t worth the time of day. Great David’s Greatest Son was despised and rejected by men. He’s the stone the builders rejected. But! (Psalm 118, the Lord looked at Jesus’ heart.) “The stone the builders rejected has become the capstone; the LORD has done this, and it is marvelous in our eyes. This is the day the LORD has made [this day of salvation! ]; let us rejoice and be glad in it. O LORD, save us; O LORD, grant us success. Blessed is he who comes in the name of the LORD. From the house of the LORD we bless you. The LORD is God, and he has made his light shine upon us. With boughs in hand, join in the festal procession up to the horns of the altar. This Thanksgiving, we Christians have every reason to be truly thankful. Because the stone that the builders rejected has become the capstone. He died on the Cross, despised and rejected and carrying our sins. God looked at His heart! And He brought Him back from the dead to give us new live and salvation! Maybe you need to make a new appraisal of Jesus today. Perhaps you came in here today thinking that Jesus was one thing–looking at the outward appearance. But you have now come to think about Him in a new light. Jesus invites you to trust Him as your Rescuer and King, your Savior and your Lord. Perhaps you’ve been chasing all of the other candidates for King. And they look good on the outside, but they all disappoint. 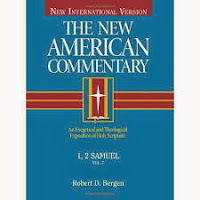 I don't know what I would do without the help of great commentaries! Here are the three books I'm using each week as I prepare messages for our current sermon series on 1 Samuel. Each chapter is like a sermon with application questions at the end. But the analysis is first-class, as well. Very quotable! Arnold gives good insights into the text and then bridges over into application. I use Bergen to get my answers to my interpretation questions, but he almost always shows me something to share in application, as well. ...Jocelyn Flenders and Ann Beaulieu! I'll need to get your mailing addresses so that we can send you your books. Thank you to everyone who participated in our giveaway. In the end, we had 35 names in the hat to pull from. My son Andrew counted and folded each one, and my son Peter pulled out the winning names. As you can probably sense by now, I think this is a great little book, so if you didn't win one here, take part in another contest or order one for yourself. At this moment, they are $11.69 at Amazon, $10.99 at CBD, and $11.04 at both New Growth Press and WTS Books. New Growth also has a pack of 5 for $51.96 today. Thank you, Steve Estes, for stopping by this blog on Tuesday to answer questions, and especially for taking the time to write A Better December. I hope the Lord uses it in many and surprising ways this Christmas and beyond. 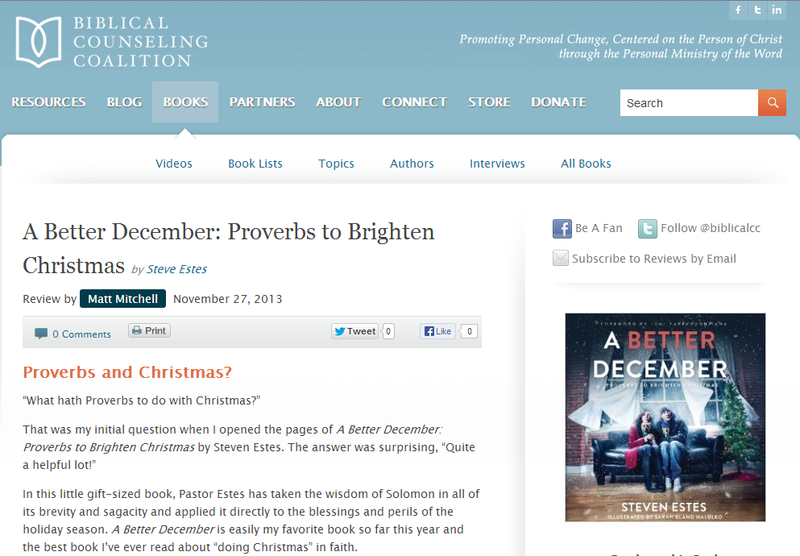 All week on this blog, we've been featuring A Better December: Proverbs to Brighten Christmas by Steve Estes. Monday: Our contest for two giveaway copies (which is still live until 7pm tonight). Tuesday: A delightful interview with Steve himself. Wednesday: My review of A Better December. But, my blog isn't the only place where you can learn about A Better December. Here is a round-up of links, including even more chances to win a free copy! The past several years, I have really struggled with Christmas. Not what it means - I'm very clear on that. But I struggle with the overcommercialization of Christmas. We have taken this sacred holy day and turned it into an over spending, list making, stress filled month of chaos. And, honestly, I'm rather weary of it. I want our celebration of Christmas to be different. I don't want it to be about making lists, I want it to be about remembering why it's one of the most meaningful days of the year to begin with. I don't want to get caught up in all the "extras" - I want to focus on Jesus. But is it too late? My older kids have already experienced many Christmases where, I am really embarrassed to say, we went overboard. So now they have come to expect something that I don't want to continue doing. I don't want my kids to remember things at Christmas; I want them to remember Jesus. Read all of Megan's thoughts and enter her contest by leaving a comment by tomorrow. December is a crazy busy time of the year for most of us. I know that most people are always eager to find encouragement to slow down and to stop striving for perfection. Most of us want to be able to take a low-key approach to the holidays and spend time reveling in the things that really do matter - namely, relationships. Also, due to oppressive time constraints, many of us are looking for quick bursts of inspiration which help us to slow further down and maintain a relationship with our Savior during this Month of Crazy (Fun). If you are looking for a short devotional that will help keep your heart focused on the right place, you might be interested in this title. I can't say I was overwhelmed by it but neither was I underwhelmed. It is good to read Proverbs year round and apply it always. Estes takes us another step forward in applying this Book of Wisdom to our Christmas holidays. Carrie isn't as excited about A Better December as I am, but she does think it's good. Read her whole review here and enter her contest by leaving a comment by Wednesday. Steve Estes does a wonderful job of taking the little proverbs that we all know so well and relating them very practically into our lives during the Christmas season. He throws in a mixture of funny anecdotes that made me laugh out loud and stories that made tears well up in my eyes and goose bumps take over my arms. And then to top it all off, he wraps everything up at the end with the gospel. Read Nicole's full review, including her thoughts on what could have been done better, and enter her contest by Monday night. Linda of About the Children's Department offers not only her own review and a giveaway contest, but also a free short story written by Steve Estes as a complement to A Better December. I'm delighted to also make available to everyone who reads this, a special short story, written by Steven Estes which you will only find on About the Children's Department. In this story, Steve writes, "Anyone dreading this Christmas? Is anyone convinced you simply can’t endure one more “happy” holiday? Not with this spouse. Not without that child. Not minus any family at all. Or perhaps not with yesteryear’s good memories now just a puddle of melted snow — or with that sadness from childhood hanging on like the flu. Maybe you should meet Coleen." Read the story about Coleen and enter Linda's giveaway contest by Monday by leaving a comment here. An audio interview with Steve at Channel Mom. A pinnable cornucopia of pictures at the New Growth Press Pinterest page. The website of illustrator Sarah Bland Halulko. Review: One Bible, Many Versions: Are All Translations Created Equal? This book should be required reading in every seminary and the first book read when "translation wars" erupt in local churches. Brunn makes a clear, compelling, and winsome case for a multiplicity of versions being a complementary blessing to the church and the world. He also convincingly demonstrates that the versions who have literal ideals are not nearly as consistent at their translation philosophy as one might think--and that that is a good thing! He shows that there is more to an excellent translation than literalness, and all great translations evidence that. Our strong English translations actually have much more in common than they have differences. "In English-speaking countries, we have the huge advantage of being able to compare dozens of Bible versions side by side. In this sense, we are incredibly rich beyond the wildest dreams of most of the rest of the world. Yet sometimes, I think we squander this great wealth. Not only do we fail to take full advantage of it; we also allow it to become a source of disagreement among us" (pg. 193). In this little gift-sized book, Pastor Estes has taken the wisdom of Solomon in all of its brevity and sagacity and applied it directly to the blessings and perils of the holiday season. A Better December is easily my favorite book so far this year and the best book I’ve ever read about “doing Christmas” in faith. A Better December is one of those short and squat “inspirational” hardbacks that people give to others at the holidays. But it’s not like any other gift book that I’ve ever seen. It is inspirational without being sentimental, warm and winsome without being sappy or fluffy. A Better December is full of deep, practical, biblical content presented in an imaginative, often wryly humorous, and engaging style. Such a deal! You’re strapped for cash this time of year. Frazzled. Or dreading the in-laws. But as you forget yourself and remember others with even emptier pockets and truly dismal lives–God will knock at YOUR life’s door with boxes of his own (pg. 37). The best thing about A Better December is how Estes brilliantly smiths his words. There aren’t that many, but each and every word is carefully chosen for maximum rhetorical effect, making it a delightful read. Estes doesn’t just teach from the Proverbs, he writes like the Proverbs–concise, precise, incisive. I wouldn’t quite call his genre “poetry,” but it is definitely lyrical and sonorous. It’s a pleasure to read out loud, and it’s impossible to not be moved. Sarah Bland-Halulko has generously sprinkled her whimsical hand-drawn illustrations throughout the book, adding to the magical quality of the writing. As you can tell, I’m definitely a fan of this book. 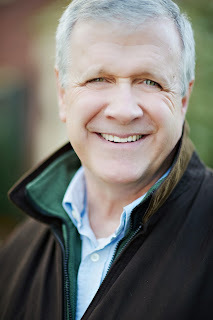 I’ve enjoyed Estes’ unique style of writing ever since he co-wrote When God Weeps with his friend Joni Eareckson Tada. I’ve listened to his sermons online, and I’ve been waiting for years for a new book. I never expected it to be about Christmas, but I’m glad that it is. Because I’m entranced by it, and because the book is so short, I don’t have many criticisms to offer of A Better December. I can say that I don’t care for the cover image. It doesn’t encourage me to open the cover and see what’s inside, and I don’t think it properly conveys the content, but that may be just a matter of taste. Also a matter of taste, some readers may be turned off by Estes’ style. It is definitely not a book for someone who loves dense prose. A few times along the way, I took a wrong turn in my reading and didn’t understand where Estes was taking me, but a second, closer reading got me back on track. I often have that difficulty with more poetical type writing. In my opinion, it’s worth a few wrong turns to wisely weave in and out of the traffic of life like Estes does. A Better December may not be the book you thought you were going to read, but is probably the one that you need. Biblical counselors can learn a lot from this deceptively small book. For example, truth can be persuasively communicated in creative ways. We don’t always have a preach a sermon to a counselee; sometimes a short story will do. Also, biblical truth is often surprising and counter-intuitive. Our counseling should include change-ups, turn-arounds, and surprise endings. A Better December is biblical counseling. Steven Estes is a local church pastor and a board member at CCEF. In this book, he is modeling how to embody biblical truth and apply it to everyday life–including the stresses, strains, and satisfactions of the Christmas season. He shows how we can help counselees reset holiday expectations and address the heart. I highly recommend A Better December for just about any reader–Christian leaders, church members, Christian counselees, and even folks who are not yet followers of Christ. As the book progresses, there is a narrative movement from Solomon to Jesus and the gospel is clearly and beautifully presented in an unique and disarming way. I’m glad I read it. This coming December is already starting to look better. 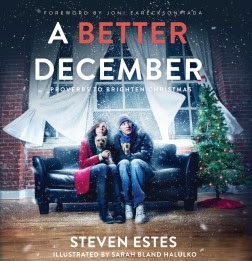 To win your own copy of A Better December, read Monday's post and join the contest. Read yesterday's interview with Steve Estes about this unique book. An Interview with Steve Estes about "A Better December"
Today we have a special holiday treat--like a surprise plate of Christmas fudge and a frothy cup of hot chocolate--an interview with Steve Estes, the author of A Better December: Proverbs to Brighten Christmas. All this week, I am highlighting this unique book and offering a chance for two people to each win a copy. Tune in tomorrow to read my review. Matt: Christmas and the book of Proverbs? That's an unusual connection to make, though after reading the book it seemed like genius to me. How did you come up with and develop the idea for A Better December? Steve: Solomon wrote Proverbs some 900 years before Christ. But many of his sayings fairly scream Christmas. “The coolness of snow . . . refreshes the spirit” — sounds like December, eh? Or consider this little chestnut: “He who rises early in the morning, greeting his neighbor with a loud voice — it will be taken as a curse!” Tell me that Solomon’s kids didn’t squeal and jump on his bed way too early on Christmas morning. Seriously, in pastoring the same church for 26 years, I one year decided to keep things fresh by seeing what Scripture might say about how to do December. After all, for many folks the holidays drip with melancholy and stress. I was surprised to learn that Solomon seemed to grasp the problems we face at Christmas. Proverbs fairly popped with zingers about reining in spending, the joy of giving, and the payoff of helping the poor and of sometimes saying “no” to your kids. Matt: What are some gems of Solomon's wisdom that you see applying to our upcoming holiday season? • “Even in laughter the heart may ache.” Solomon is thinking about that guy at the holiday party who tries to smile, but is dying inside from a wife who just left him. No amount of holiday punch is going to soothe his aching soul. Christian, are your antennae up for such hurting people? • Your teenager thinks her social life will droop like a Charlie Brown Christmas tree unless she gets THIS brand of jeans or THAT smartphone this December. But Solomon says, “Death and destruction are never satisfied, neither are the eyes of man.” That is, no amount of stuff will fill us. She may not believe this — and you, her parent, may have to believe this for her. • Perfectionists, especially perfectionist-moms, cherish visions of a Currier-and-Ives holiday, a family gathering Norman Rockwell would love to paint. But trying to shake a snow-globe Christmas out of every December will disappoint you. Holiday dreams can melt in your hands like snow. Solomon says, “You can make many plans, but the Lord’s purpose will prevail.” God sometimes lets December disappoint us so that we won’t be overly focused on this life. Some years he may give you a Christmasy taste of heaven — other years, a sad December to keep your hopes on the next life, the REAL holiday. Matt: This book seemed very personal to you, including stories from your own family and upbringing. How did your family figure into the writing? Steve: They are the ones with whom I’ve sat in pajamas and opened presents on Christmas morning. It’s with them that I’ve enjoyed Currier-and-Ives holidays . . . and the sadness of Scrooge seeing what he missed during Christmas past. Every story in this book is true. Each is about people I love, about scenes from my memory that affect me deeply. Matt: As the book develops, there is a budding movement from Solomon to Christ. How do you envision A Better December being used as an outreach tool? That lonely neighbor, that divorced guy at work, that woman in the nursing home — each is having a difficult December. Each may in fact be dreading Christmas Day. What sadness. Yet what opportunity! To give them a religious book in July may make them feel evangelized. But in December, to give them a plate of cookies and a tiny, illustrated Christmas book can make them feel loved. A Better December is beautifully produced, laced with humor and zippy language. It doesn’t even mention Jesus until 80% through. But when it does, He is presented as the One who can meet every longing during the year’s shortest days and longest nights. Matt: What are your hopes for this book as it gets into readers' hands this holiday season? How are you hoping it will make for a better December in 2013 and beyond? Steve: I’m almost embarrassed to say this. But as I wrote, I frequently imagined someone reading this book in a large city while riding the evening subway. I guess I pictured the loneliness of being surrounded by thousands of people, not knowing one of them, yet meeting Jesus of Nazareth in this book’s pages. Please understand why I say the following: a number of readers have told me that they wept through the last half of the book. I think this is so because I tried to help readers feel the Savior. I tried to show him as not only true . . . but as beautiful. This is my great hope for that lonely person to whose lap this little book has somehow found its way. Matt: Amen! 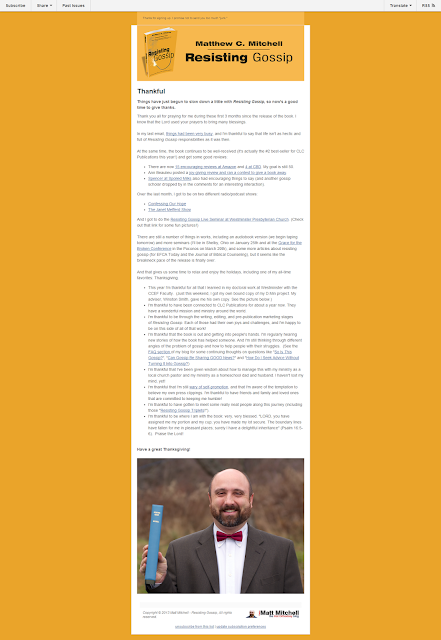 Thank you, Steve, for taking the time for this interview and for authoring such a winsome, creative, and loving resource. I hope that many many copies find their way into the laps of needy readers. To win your own copy of A Better December, read yesterday's post and join the contest. All this week at Hot Orthodoxy, we're taking part in the "blog tour" for A Better December: Proverbs to Brighten Christmas by Steve Estes. Tomorrow, Steve will answer some questions about his unique book. 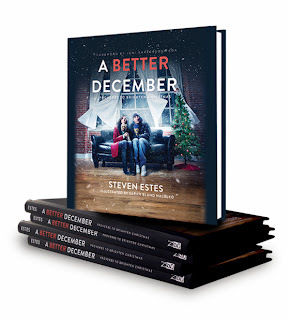 Today, I'm happy to announce a contest to win a free copy of A Better December. 1. Leave a comment on this post (either here, on Twitter, at Google+, or on Facebook) with your name on it. You can increase your chances of winning by posting about this contest on your social media page (FB, Twitter, Blog, Pinterest, etc.). Just send me an email or leave a comment with the link so that I know that you've expanded the reach of the contest. For each time you link to the contest, you get your name added to the hat one more time (limit of 7 chances, the contest ends at 7pm EST on Thursday night). 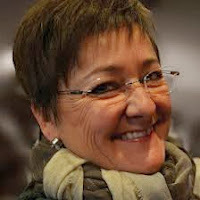 Christian author Ann Beaulieu has posted a joy-giving review of Resisting Gossip on her blog: La Vie D'Une Femme de Dieu Au Quotidien (The Daily Life of a Godly Woman). As much as I tried, I can’t find anything Mitchell didn’t think to cover in his book! Not that I am looking for faults, but I’m thinking he must of forgotten something. Yet he seems to have covered all significant grounds. And there are quite a few! From now until Wednesday, Ann is running a contest to give away a signed copy. All you have to do is leave your name and a comment on this post. Gagner un livre gratuit signé de l’auteur, Matthew Mitchell – « Resisting Gossip » en participant au tirage. Compliment de CLC Publications. Le concours est ouvert aux résidents du Canada, des États-Unis, et de l’Europe. Règles du tirage: une seule inscription par personne. Laissez-moi un commentaire et votre nom s’il vous plait. L’inscription au tirage est ouverte jusqu’au mercredi le 20 novembre 2013 à midi. One of the most fun parts of her review was learning how to say Resisting Gossip in French: "Résister à la médisance!" Thanks, Ann, for your review--reading it made my day. 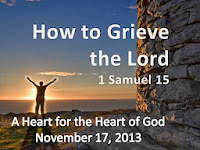 [Matt's Messages] "How to Grieve the Lord"
Our series is called “A Heart for the Heart of God,” but for the last several messages the central character has not had one. King Saul does not seem to have a heart for the heart of God. And last week, we saw the prophet Samuel announce to Saul that he would not have a dynasty–that his sons would not take follow him as king. A terrible consequence for his disobedience, particularly because his son Jonathan showed so much promise. But King Saul is a disappointment. For all of his good points–including his success in battle and the fact that he is tall–Saul is a disappointment. A disappointment to his people, to his army, to his prophet, even to his son. And, most importantly, a disappointment to his god. Now, hearing that might surprise you. And in our English today, we don’t use the word “repent” to mean “regret” or “grieve” or “feel sorrow” about something the way that Old English did. But this is not saying that God somehow realized that He had made a mistake or an error that He now has to rectify. He does not “repent” in the sense that we are called to do in turning from our wrongdoings. The Lord does everything right, even things that He feels sorrow over. Another reason why you might be surprised to hear that the Lord was grieved is that you didn’t know that God could be grieved! It’s true that God is not moody and erratically emotional, but our God, the real God has passions. He has emotions. He feels. He cares about things. And because He cares, He can be grieved. Not, of course, because I want you to. Or because I want to grieve Him myself. In watching Saul’s downfall, we can see what NOT to do. In verse 1 of our story for today, Samuel comes back on the scene. At the end of chapter 13, Samuel had left Saul alone and in disgrace. I would imagine that those words are as hard to swallow for you as they are for me. But they are holy Scripture, and we need to receive them as such. The LORD is gracious and compassionate and longsuffering and patient. But there is an end to the LORD’s patience with rebellion and the Amalekites have reached that point. For more than three hundred years, God has been patient with the Amalekites, but they have continued and continued sin against God and against His people. Read Exodus 17 and Numbers 24 for some of what they had done and what they continued to not repent of. And God, in His unsearchable wisdom, decided that enough was enough and now was the time to bring total judgment on the Amalekites. And He sends Saul to do it. And Saul sets out to do it. Verse 4. “So Saul summoned the men and mustered them at Telaim–two hundred thousand foot soldiers and ten thousand men from Judah. Saul went to the city of Amalek and set an ambush in the ravine. Then he said to the Kenites [relatives of Moses and Caleb who had apparently moved into their neighborhoods], ‘Go away, leave the Amalekites so that I do not destroy you along with them; for you showed kindness to all the Israelites when they came up out of Egypt.’ So the Kenites moved away from the Amalekites. Here’s point #1 this morning. 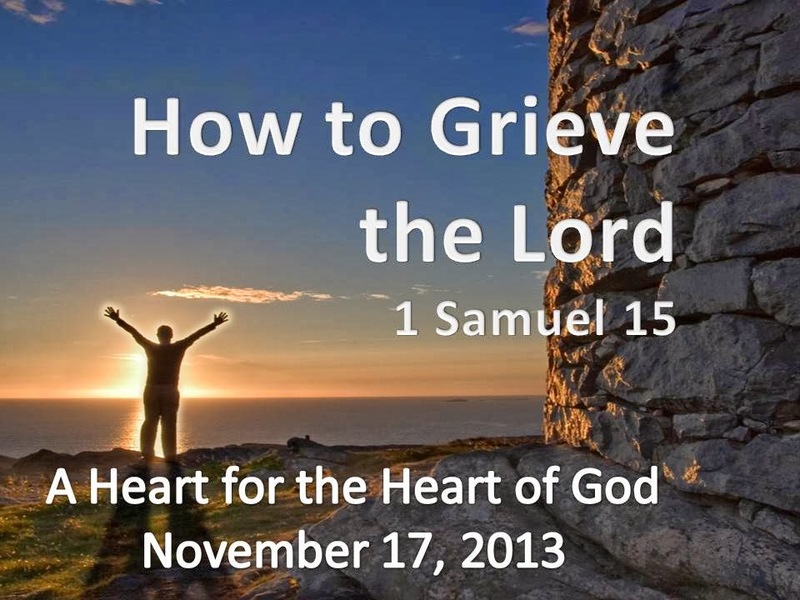 How to Grieve the Lord? #1. CHOOSE TO ONLY PARTIALLY OBEY HIM. That is, they only hear what they want to hear when their spouse is talking to them. What was Saul supposed to destroy? Everything. That troubles Samuel so much that he spends the whole sleepless night crying. Do you hear that sound, Saul? That is the sound of disobedience! ‘Stop!’ Samuel said to Saul. ‘Let me tell you what the LORD said to me last night.’ ‘Tell me,’ Saul replied. Samuel said, ‘Although you were once small in your own eyes, did you not become the head of the tribes of Israel? The LORD anointed you king over Israel. ‘But I did obey the LORD,’ Saul said. ‘I went on the mission the LORD assigned me. I completely destroyed the Amalekites and brought back Agag their king. In other words..."I obeyed more than 90%! I was 9 for 10. Isn’t that really good? I went on the mission. And what the soldiers took, but we were going to sacrifice. Really!" If you want to grieve Him, then choose to only partially obey Him. Saul tries to deflect the blame. He blames the soldiers. He makes excuses. He tries to wiggle out of it. He might not even SEE that He is disobedient! But Samuel sees it. And God sees it. In fact, it grieves the Lord. He feels it. It moves Him. It pains Him. God is not the Force from Star Wars. He is not an impersonal life force that flows around the universe. God is personal. He is passionate. He cares. He feels. He is moved by people and their choices. And He is not pleased by half-hearted obedience. God is wants us to have a heart for the heart of God. Not half a heart with half a measure of obedience. Is there an area in your life right now that you know is un-surrendered to the Lord? You’re obeying 9 out of 10 and you hope that’s a A-. But you know about that 1 out of 10 and you’re keeping it for yourself? Now, I’m not talking here about perfection. Having a heart for the heart of God is not having a perfect heart and always obeying perfectly. But it is, not holding a part of your life back from Him. Making excuses. Shifting the blame. And picking and choosing which commands you want to obey. Is there an area of obedience to Christ’s Lordship that you are choosing to ignore? That’s how to grieve the Lord. Here’s number two. It’s closely connected. #2. THINK YOU CAN “GET BY” ON SACRIFICE ALONE. Verse 20 is so sad. “But I did obey the LORD,” Saul says. He tries to convince Samuel that his partial obedience is full obedience, but Samuel isn’t buying it. In verse 21 he says that they took the sheep and the cattle to sacrifice them at Gilgal. Which may or may not have some truth to it. Probably not, because verse 9 said that they were unwilling to destroy them. They were probably really keeping them for themselves. But even so, Samuel says, verse 22. It grieves the Lord that you think you can get by on sacrifice alone. To have no heart for the heart of God and to try to just make it up with sacrifices. That’s no better than rebellion in God’s eyes. And arrogant rebellion is no better than witchcraft and idolatry. God does not delight in sacrifices as much as in He does in obedience. Does this mean that the sacrifices were bad? Of course not. The sacrifices were a God-thing. But they were not meant to be alternatives to a heart of obedience. Sacrifice is bad if it is not from the heart. I think that a lot of times people decide to sin and promise to make it up to God later. I know that I shouldn’t do this, Lord, but I’ll make it up to you later. I’ll put something special in the offering plate. I’ll do this now and ask for forgiveness later. Are you doing that nowadays? I know that’s how some Catholics use the confessional. But Protestants can do the very same thing. And if you have it backwards, you are grieving the LORD. “Then Saul said to Samuel, ‘I have sinned. [Ok. Yeah.] I violated the LORD's command and your instructions. I was afraid of the people and so I gave in to them. Here’s a third way to grieve the Lord. #3. FEAR OTHER PEOPLE MORE THAN YOU FEAR GOD. Saul admits that he sinned, and he actually reveals why. V.24 again. Instead of fearing God, Saul fears people. What they will do, say, or think of him. And he fears them so much that he is willing to disobey the Lord. “But Samuel said to him, ‘I will not go back with you. You have rejected the word of the LORD, and the LORD has rejected you as king over Israel!’ [You aren’t listening.] As Samuel turned to leave, Saul caught hold of the hem of his robe, and it tore. Samuel said to him, ‘The LORD has torn the kingdom of Israel from you today and has given it to one of your neighbors–to one better than you. You see how he’s not listening? That’s what Saul really seems to care about. Yes, he’s worshiping the Lord, but mainly as a show. The confession is a show. He wants the prophet to come back with him to show the people that things are okay. The LORD has torn the kingdom away from Saul like a ripped robe. And He’s not giving it back. V.29 again. And we know that it can’t mean the same thing in each case because God is regretting in verses 11 and 35 and verse 29 says that He doesn’t do that. So, there must be a sense in which God does grieve His choices and a sense in which He does not. In verses 11 and 35, God is revealed to feel sorrow and pain over His choice. Not that it was the wrong thing for Him to do, but that it was a painful thing for Him to do. He gave Israel what they deserved and what was right, but it wasn’t all good. King Saul wasn’t all good for them. In fact, he was downright disappointing. But God has now said that King Saul will no longer be, in God’s eyes, the King of Israel. He is being replaced. And that is a decision that is final. The decision to make him king was not final. It could be changed depending on Saul’s actions. But this decision is final, and God is not moody or capricious or whimsical or arbitrary in His choices. He’s not like us. What He says, goes. Now, I think that if Saul had responded well to this rebuke, then Saul could have been saved as a person and useful to the Lord. Not the king, because this was final, but a useful counselor to the new king and maybe a mighty general in his army. But Saul never seems to respond well to any rebuke. All he ever seems to care about is saving face. What other people think of him. He’s really into making everything about himself, isn’t he? In the last chapter, instead of being concerned about his army’s health and welfare, he is only concerned about wiping out “his” enemies even if his men have to go without food. In this chapter, he has won the battle, and the first thing he thinks to do is to set up a monument to himself! #4. MAKE EVERYTHING ALL ABOUT YOU. That’s what Saul does, and what grieves his Lord. He doesn’t care that God get the glory. Not really. He doesn’t care about his people. Not really. He cares what they think of him, but not how they are doing, do they have what they need. He gives in to his people because he wants them to like him. That’s the fear of man, and the Bible says that it will prove to be a snare. And it’s also a kind of self-love and self-worship. It’s making everything all about me. That’s why, I think, that Saul kept Agag. He wanted to have his own little king for a pet. Look what I have! I have a king. This is all that’s left of the Amalekies because of me! He doesn’t care that God had commanded that Agag die. “Then Samuel said, ‘Bring me Agag king of the Amalekites.’ Agag came to him confidently, thinking, ‘Surely the bitterness of death is past.’ [The king isn’t here. Just a prophet. I’m safe!] But Samuel said, ‘As your sword has made women childless, so will your mother be childless among women.’ And Samuel put Agag to death before the LORD at Gilgal. I think that’s really sad. Samuel leaves Saul for the last time. Samuel mourns for him. He feels bad. And the LORD feels bad, too. Because it hurt that He had, in His wisdom, made Saul king over Israel. It was the right thing to do, but it was sure painful for a God who loves His people. God had chosen a king who made everything about himself instead of everything about the Lord. You and I can make that mistake, too, can’t we? Or set up a monument to yourself? Or cared more about what people thought of you than what God thought of you? Or thought you could get by on sacrifice alone and make it up to God later. Or picked and chose which of Christ’s commands you want to obey? I don’t know about you, but I don’t want to grieve the Lord anymore. Let’s give Him our whole hearts so that we have a heart for His heart. And not follow Saul where he chose to go. Let’s not make everything about us, but about Him. About the Lord. And that will not grieve Him at all. Can Gossip be Sharing GOOD News? SpoiledMilks Review of "Resisting Gossip"